Existence Theatre presents TRESPASSING at Edith Cowan University’s Spectrum Project Space for FRINGE WORLD 2019.Existence Theatre (Bello Benischauer and Elisabeth M Eitelberger) is the recipient of the 2019 Spectrum Project Space Artist Residency. This annual program allows the recipient one-month’s access to Spectrum Project Space at ECU’s Mount Lawley Campus as a working studio, with the aim of exhibiting new works in the gallery at the end of the residency. This program is now in its sixth year.TRESPASSING is based on four different female characters, who speak about the complexity of gender linked to identity, social interaction, power and oppression; about the interaction of gender with race, class, culture, religion, sexuality and consumerism. In monologues, they give insight into their contradicting but daily routines. While one indulges in a compulsive desire to shop, another tries to build all her image around her higher education. And whereas one suffers from being born into a wealthy milieu, another crosses borders fleeing her country to simply survive.Known for creating immersive and multi-sensory experiences, Existence Theatre will again take their audience on an intimate journey to celebrate the transcultural qualities inherent in contemporary society. For the past two decades Bello and Elisabeth have utilised video, sound composition, performance and performance writing to reflect upon particular socio-political issues and the individuals dealing with them. They create individual ensembles depending on the work. With projects around the world they have formed a strong interest in how to comment on transcultural lifestyle and cultural specifics. They have created work spanning from video poetry, video/sound installations, interventions in public space, performance lectures to critical theatre productions with a strong socio-political message. 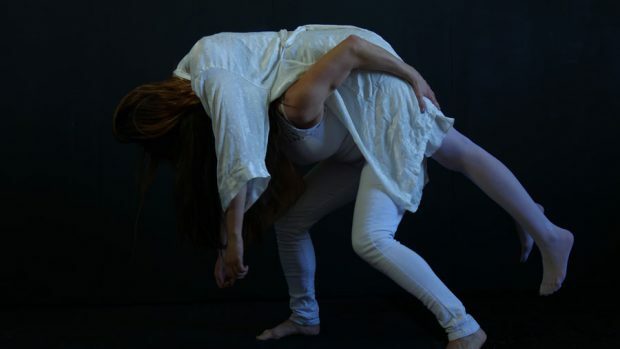 The exhibition and performances will take place from Friday, 1 February to Friday, 22 February at Spectrum Project Space, Mount Lawley Campus, Edith Cowan University.